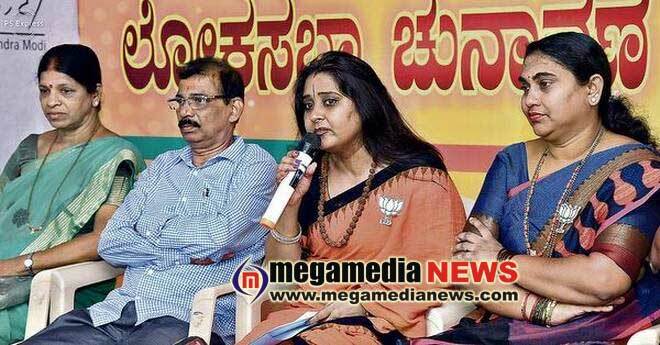 Mangaluru : The BJP has no hesitation in seeking votes for its candidates in the name of Prime Minister Narendra Modi for making Mr. Modi Prime Minister for a second term, said State BJP spokesperson and star campaigner Malavika Avinash here on Thursday. Addressing a press conference, Ms. Avinash said with development initiatives such as Ujjwala Yojana and rural electrification and vital decisions related to national security taken during the last five years, Mr. Modi has laid a solid foundation for the country’s development. In another press conference, Chakravathy Sulibele, who is campaigning for Mr. Modi across the State through TeaModi, said that voters will definitely think of the nation’s prospects while voting in the Lok Sabha elections. “Unlike in the earlier Lok Sabha elections, technology is now playing a vital role in ingraining nationalist thought among voters. Voters are well informed about national issues now,” he said.